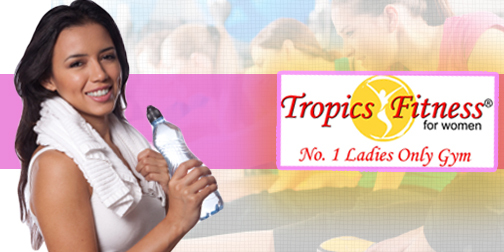 Tropics Fitness: FREE gym and more for Ladies, exclusive to J Card female members only! Let’s start off the Week by GETTING FIT! *Note: This promotion is EXCLUSIVE to J Card Members only! Tropics Fitness is a ladies-only gym, founded by Jason Moriarty, a 36-year-old Irishman. Currently, there are 2 centres - Bandar Puteri Puchong (which opened May 2006) and USJ 11, Subang Jaya (opened in November 2007). What's so unique about this centre compare to the other ladies-only gym in town is that their machines are built with a lady's frame in mind, from the handle bars, seating positions to the use of lighter weight stacks. You can read The Star article about Tropics Fitness here.